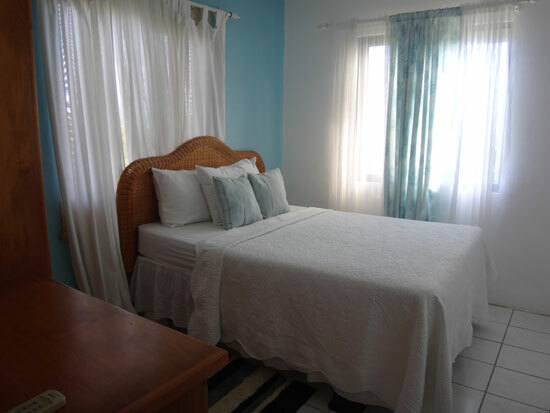 Patsy's Seaside Villas was reviewed by Kristin Bourne. 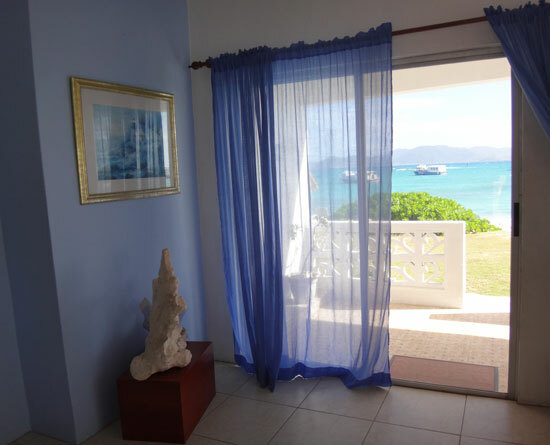 An economical Anguilla hotel on Blowing Point Beach, Patsy's Seaside Villas are known for being clean, comfortable and conveniently situated, just steps from Blowing Point Ferry. With warm hospitality, too, here you can't go wrong. 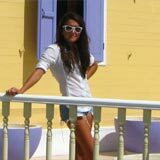 Some of the most loveliest of Anguilla experiences I've heard of come from those who stay at Patsy's Seaside Villas. 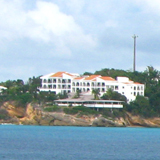 Come to Anguilla for the beaches and the amazing restaurants. Come for the weather and quiet pace. Most importantly, come for the people. The general nature of Anglicans is to be hospitable and helpful. Patsy's is owned and operated since built in 1984, by Anguillians - the gracious Connor family. I spent an afternoon with Marjorie Connor and her daughter, Lisa. They told me about Patsy's and showed me several of their rooms. Prior to my afternoon at Patsy's I had heard nothing but wonderful things about Marjorie and her family. Some friends from my hometown of Roanoke, Virginia, the Freedman's, had stayed at Patsy's in the past and had invited me over one evening. I was so pleasantly surprised by the space and they were telling me how at home they were made to feel. After having met Marjorie and Lisa, they both expressed how they want people to feel comfortable while they are away from their own homes. It's that simple! But it seems as though they go out of their way at Patsy's. You even arrive to a variety of complimentary snacks (so that you don't feel the need to rush out for groceries) and a drink the moment you arrive after what could have been a long day of travel. 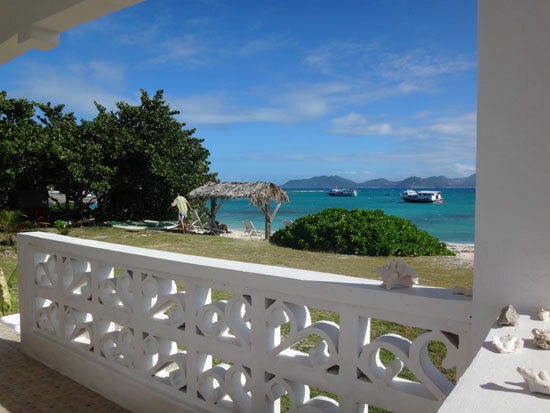 For starters you arrive to one of the more majestic views of St. Martin from Anguilla. 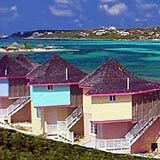 The colors of the Caribbean Sea stretch from your accommodation there on the sand of Blowing Point Beach all the way to the distant coastline of St. Martin. Blue skies above, it's a terrific sight. 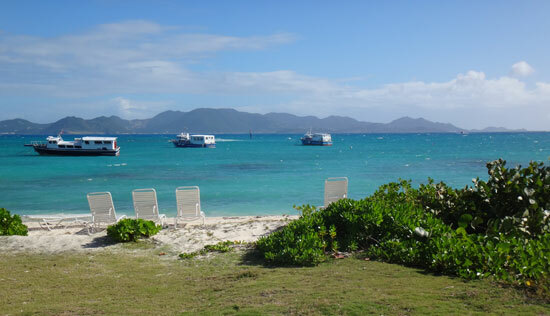 You might find yourself hypnotized from gazing at the bobbing Anguilla ferry boats which are moored just offshore. Closer up, the soft sand of the beach meets up with an oceanfront lawn which is where the rooms are located... now how is that for location? Not only is the view magnificent, the Blowing Point ferry is walk-able. 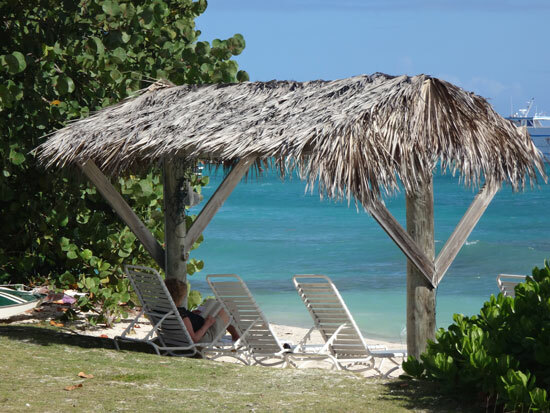 The villas are either one bedroom or two bedrooms of the six total options at Patsy's and they all face the Caribbean Sea. Some are on ground level and others are on the 2nd / top floor. 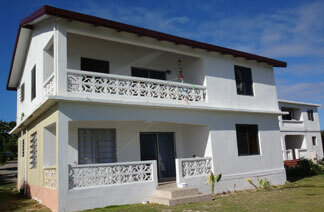 Every unit has a fully equipped kitchen, a full bathroom and a covered porch. The units vary on how many they sleep and at the very least, they sleep 4. Patsy's has the amenities to let you live comfortably while away from home. There's cable TV, cell phones for use. There's even wifi and a BBQ for use on the lawn. Rates for the high/winter season start at $160 US/night and in the low/summer months, the rate starts at $130 US/night. 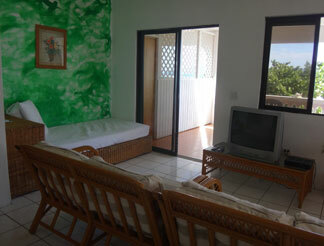 How's that for a direct Caribbean Sea, fully equipped, clean apartment-style vacation living! There's one last thing I wonder if anyone is curious about? I know I was... I had met Marjorie and Lisa and so I asked the question, who is Patsy? As it turns out, Patsy is the one who had been speaking with me, laughing, sharing history and expressing her love for her guests all along - it's Lisa! 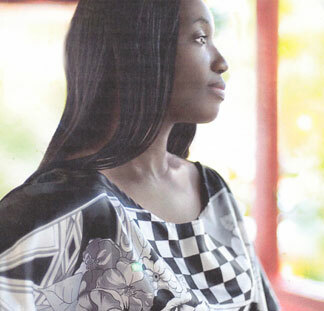 Lisa, the family's oldest daughter is named "Lisa Patricia" and has always affectionately been called, "Patsy" by her family. 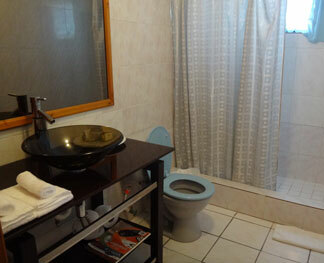 If you like cleanliness, comfort, proximity to the Caribbean Sea and nice, loving people... 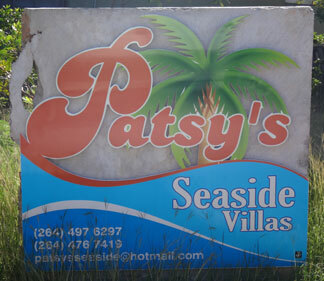 Patsy's Seaside Villas has what you like!